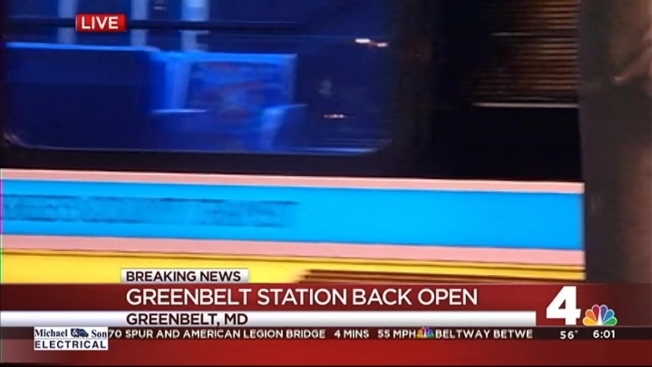 Green Line service between Greenbelt and College Park has been restored after a pedestrian bridge fell onto Metro and MARC train tracks Wednesday afternoon. The bridge that collapsed is located between the Greenbelt and College Park stations at Berwyn Road in Berwyn Heights, Maryland. No one was hurt, said Mark Brady of Prince George's County Fire and EMS. Metro officials say crews worked through the night to restore service and reopen the Greenbelt station. No further delays are expected as a result of the bridge collapse. MARC's Camden Line will also operate at full service Thursday. 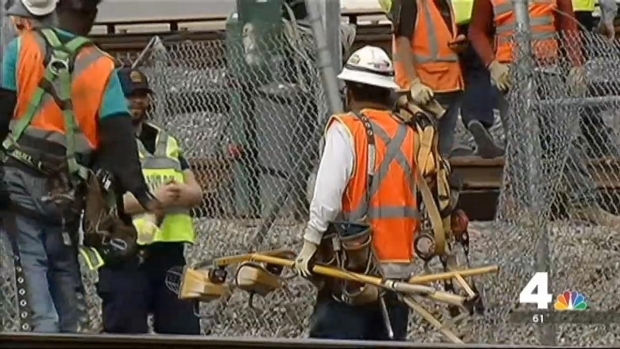 Workers are trying to get a portion of Metro's Green Line open again after a pedestrian bridge collapsed on the tracks. Shomari Stone reports. A portion of the concrete bridge collapsed onto the tracks shortly before 3 p.m. Wednesday after being struck by the boom of a rail crane operated by a Metro contractor. The contractor, Skanska, was conducting work to support the construction of a new track. "We're still trying to figure out exactly what happened," said John Hellman of Skanska. The pedestrian bridge is not a Metro bridge, Metro Transit Police said on Twitter.